and my passion for switching up the decor in my living room?? Whatcha think?! Thanks to my blogger buddy, Megan, I scored a credit from a giveaway on her blog to the shop Plush Studio. If you've never checked out Erin's work before, it's a must! Her pillows are amazing. 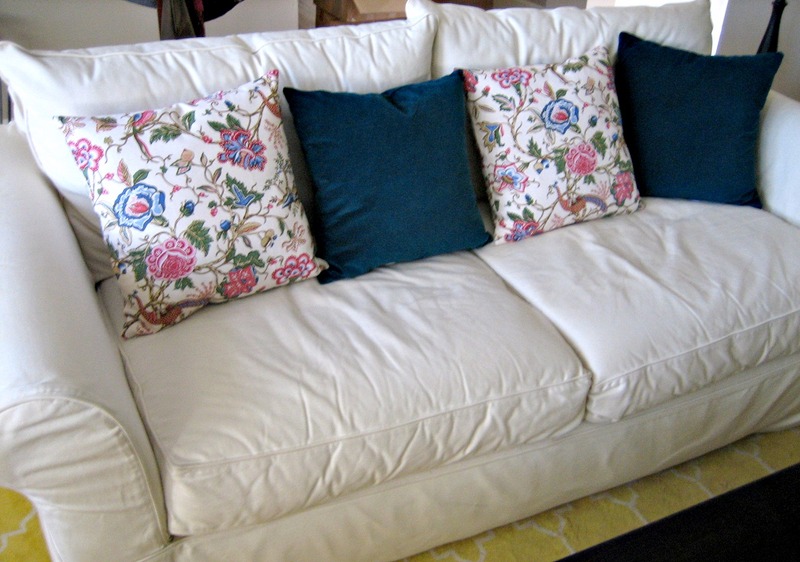 And there are some other new guys from World Market joining these beauties on my living room couch. Now I know it's a looooot of color we're working with in the living room now, but bear with me! It's all part of a master plan. 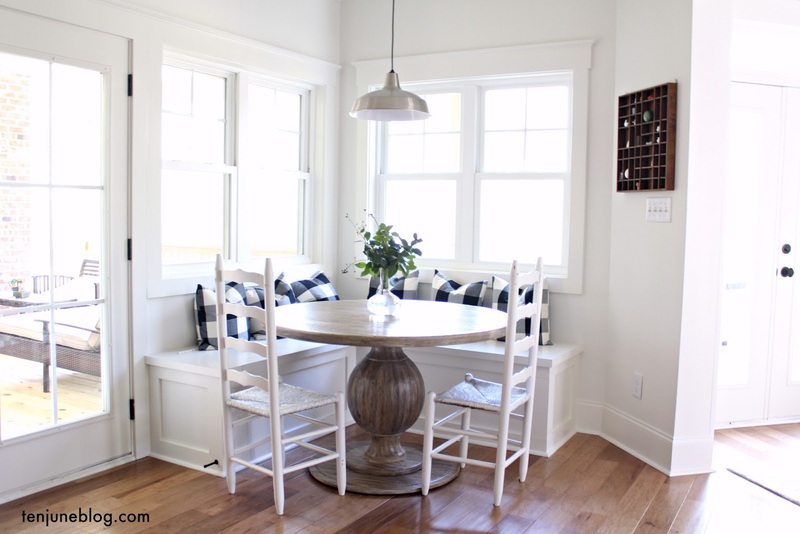 You all know that I have never been afraid to throw out a bunch of bold colors and see what happens (ahem, navy dining room anyone?!). I might be crazy, but I'm going to see if I can make all of these beautiful colors work together! 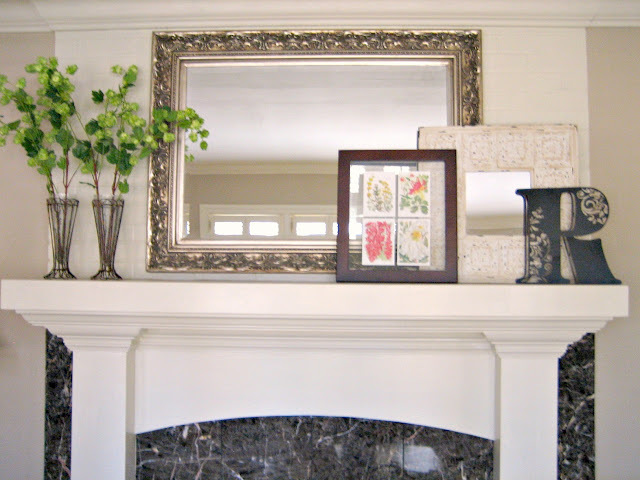 Can you see how the colors fit in with the new mantle redo? I think the next step is to throw in a pillow (or some other kind of fabric- window treatments?) that ties all of the existing colors in together. Maybe something like this? I love using all of these fun colors... just in time for spring to come! Tis the season. love how they look siwth the darker pillows- it's the perfect balance! 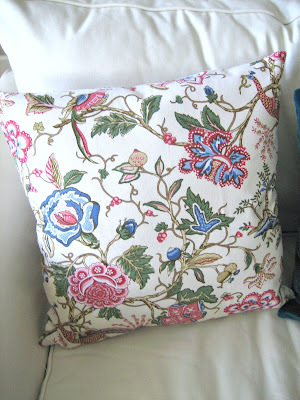 LOL, but check my post today...I added cushions in the same color! Love the pillows, I'm so ready for Spring too! Tres cute! Love the print! 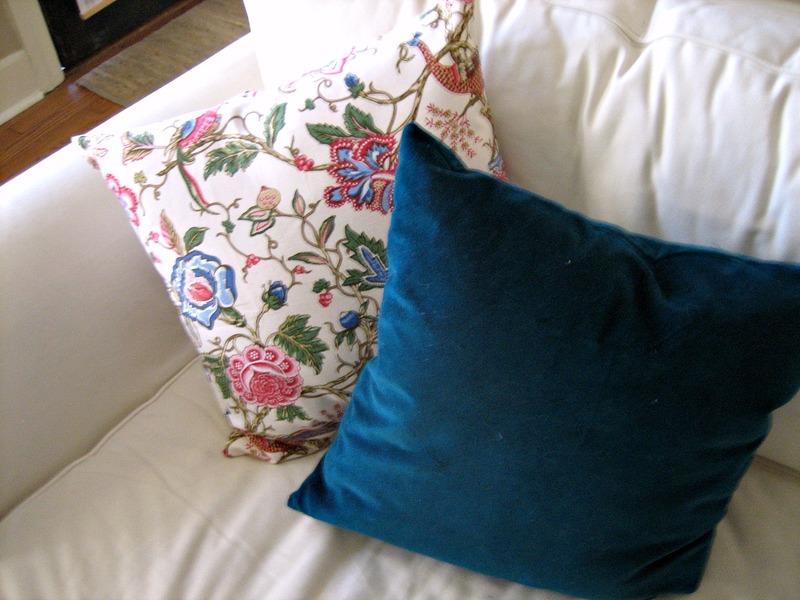 The pillows look great on your couch with those solid velvets! Dark really makes them pop! You were great to work with thanks again! Love this post! I'm CRAVING spring and all things it brings with it (including my terrible allergies -- I don't care ... I'll deal). P.S. I'm waiting for OPI, Essie, or Chanel to do a Pantone-inspired nail polish line -- Wouldn't that be wonderful?! could those flowers be any more heavenly?? i sure dont think so... i am obsessed with this color for sure!!! Those are beautiful pillows. I like the idea of a pillow to tie them all together too! Love the new pillows!! I am ready for spring too. It looks like spring at your house!! So cozy! Those pillows definitely infuse the vibe of spring! I love how the colors just drip with style on your sofa. Excellent choice my dear...they are quite fabulous. I wouldn't say that's a *lot* of color. I say go for it! I really like that print on the pillows. I love those pillows, just the right amount of pink - I think some cool panels - would look great maybe a cool plaid you need another pattern - something with the navy and pink and green... hmm off to look! I love her pillows!!! So cute!